PLEASE REPOST. NO COPYRIGHT NOTICE. 3) As one who has worked with hundreds of such victims around the World, I see select clues within the dialog which align with many similar charges from others within Red China, as well as other countries, including America. I am specifically comparing to cases where, after working with the individuals for a considerable time, tests and defensive strategies verified that targeting was real — though generally different than the victim’s original perceptions and understanding. 4) You will note that many of his prior letters were enjoined by other signers, up to 77 persons. 5) Yesterday, I got four hits to my wordpress pages from Red China (rare). One of the pages hit regarded how easy it is to start a revolution, which featured the 1989 failed Tiananmen Sqaure incident. Another features how to outreach as a targeted individual, my also my main page on political control technology, and another was my contact page. I now believe these were Xin’s visitations. Xin Zhong Qing is a fairly common name in China. There is even a Container Vessel operated by the Red Chinese Army of that name. My name is xin zhong Qing, Is the Chinese Jiangsu province Nanjing city an ordinary law-abiding civilians. Here, I on you accuse China Security Department “secret agencies ” in a group of spies criminals, they abuse “monitoring” privilege, make high-tech “brain control” technique, remote control my body and spirit, the implementation of more than 40 years, The days and nights of continuous uninterrupted secret torture persecution. 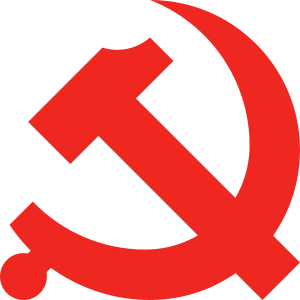 In the Chinese Cultural Revolution ” of 1971 , in the 20th century , I was framed for “5.16 counter- revolutionaries “, were subjected to cruel political persecution. This group of ” secretagencies ” in the secret criminals, in order to force me to, admit that they are “5.16 counter-revolutionaries”. At the same time, in order to stop me openly accused Justice voice, they use high-tech ” brain control ” technology means frenzied , day and night, 24 -hour continuous remote control of my body , the implementation of an extremely cruel persecution and assassination plot secretly tormented. They are a group of secret agents Alcatraz. To me implemented secretly tormented persecution means extremely brutal, shameless, comparable to the German Hitler fascist concentration camp Gestapo and Japan 731 units of bacteria devil evil, their Monstrous evil, just pale into insignificance by comparison! They control my body, every minute non-stop manufacturing my body, appear all sorts of pain; itching; extreme cold; heat; numb; vertigo; tremble; Extremely uncomfortable; incontinent, frequent cough vomit nasal bleeding paste the nose, as well as the infamous “sexual torture” and other pain. For over 40 years time, wherever I go where, this secret pain never stopped, and I can’t sleep, normal study, work and life, day and night in very suffering pain, like a living dead! Their Monstrous evil, not only a violation of China’s constitution and laws to “respect and ensure human rights” provisions, also completely violated the Charter of the United Nations and the “Declaration of human rights” and other relevant safeguard basic human life, survival rights provisions. However , I have sent the Many letter of complaint, not only did not get any reply. On the contrary, the arrogance of this gang of secret agent criminals more arrogant , more intensified secret remote control of my physical and mental torture persecution . I am still in the” shouting days days should not ; shouting ground ground should not” suffered torment pain life..
Now, I tell you — the UN Human Rights Commission issued this complaint letter, urging you under the Charter of the United Nations and the “Declaration of human rights” and other relevant human rights documents, To as a member of the United Nations of China National Security Department “secret organization” this group of Spy against human criminals are a Monstrous evil, Must be a serious investigation , and the findings made ​​public . At the same time , Will referred the case to the United Nations Criminal Court, Will this group of secret Spy criminal prosecution, for crimes against humanity! Note by H. Michael Sweeney: the first link appears to be being blocked in Red China. Attempts to reply by email also fail. A careful in-depth review by an author who specializes in crimes of the NWO and Intelligence Community, to include MC, by H. Michael Sweeney, Copyright © 2012 all rights reserved. No reproduction permissions will be granted for the first 90 days. Links only, please. Easy link access to the key-most videos and images for each critical point of evidence presented in a logical, easy to follow order. A walk-through narrative portraying an alternate scenario which fits all conflicting facts into a workable reality. The reader, if to have confidence in my commentary, should know my credentials. I write this as an author of seven books (proparanoidpress.com) generally upon topics which relate directly in any analysis of the matters in Aurora. That includes the topic of Political Control Technology (PCT — mind control), which mainstream media and government still refuses to acknowledge as a real and valid topic. This they do despite the blatantly available facts which abound, even to include evidence uncovered by Congressional Investigation. My full bio is available here. But before we get into the meat of these matters, I want you to please stop and see this one video which is by far the most emotional and heart tugging (in a good way) of witness accounts: Jamie Rohre, telling how he and his family were under fire, and the frantic events and steps taken while worrying about his infants and their Mother from whom he had become separated. They were apparently not married, but the interview reveals that once reunited in the hospital, he immediately proposed, and she accepted. WORTH A WATCH. Good can overcome tragedy when you let it. I would hope my feeble efforts would raise serious questions for not just citizens, but also in the minds of officials; questions which a moral person should rightly feel in clear need of answering if justice is to be served. Questions which might lead any legal defense team working for James to a useful defense proving him innocent. Unfortunately, I have no reason to believe that is the goal of either the Court or the Police in this matter, and suspect any defense will be guaranteed to be marginal, at best. As common in all prior mass shooting events, assassination plots, and terrorist events, political hay is more important than a statue of a blindfolded lady, or her set of scales. Motive 1: The most popular motive talked about the Web is the most obvious; the ‘trade your rights for security’ myth, a key step in order to allow a tighter Police State grip on the people. The hay in mass shootings and assassination plots is gun control, which is the key-most step on the way toward a Police State, and the only way it could long survive or even come to power in America. The proof of these remarks is perhaps easiest to illustrate by the ‘coincidence’ that in every shooting or terror event, Congress just happens to have in hand legislation ready for quick approval (but not reading or due debate) which provides a good deal of such hay for their New World Order horses. 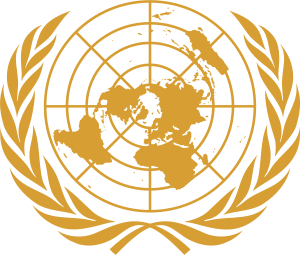 In Aurora, it would be found in three forms, the first of which was, rather than a new law, a need to discuss the United Nations Treaty on Small Arms. Constitutionalists and gun owners fear the Treaty would force the 2nd Amendment to be repealed and guns to be confiscated, the approval of which was scheduled to be determined in a matter of mere days after the shooting. Fortunately, the effort failed and the treaty was not signed, but that does not end the matter; the U.N. has simply rescheduled for reconsideration to give them time to attempt to make the treaty more appealing (the US was not the only country to refuse it), and a new a sales pitch (more mass shootings, perhaps, such as the Temple shooting in Wisconsin?). I have already screamed my warning thoughts on the gun-grab topic in a series of posts cited at the end of this post. For the best overview of the treaty with both sides of view, visit the Judge Ben C. Green Law Library. Motive 2: Less commonly discussed, but also logical; the Web is flush with stories stating James’ Father is a whistle blower set to testify in a Federal matter which would, if found damaging, be a potential motive for using as Patsy, his son. His father developed software used to monitor banking transactions for fraud, and it is said that his program detected and can prove where the trillion dollar losses really went — as criminal profits. Imagine trading a finding of mental incapacitation instead of a death sentence in exchange for favorable testimony. As result, his Father is said to have been scheduled to appear as a witness in a Federal Court as a whistleblower. At this point I would be remiss if not admitting the factual value as a motive is based on early speculation, as there has been no useful verification of any such court appearance. It would take considerable study of his Father’s situation to find facts before I accept it as factual, but it is sufficient a red flag as to deserve such study. Read about that, here. Even more interesting, as a related mater, is that TDKR plot line is rather a strong parallel to the financial crimes under consideration. It may be EXACTLY THE REASON why James, and why TDKR. There is an excellent review of the film with that view in mind, here, with some useful background info on the software in question. Later, we will see there is also a potential reason why Century Theaters. Motive 3: Also a matter to be determined more concretely, the third potential motive remains quite consistent with my findings in case after case when working with targeted individuals. I’m talking about victims of PCT, which is what I fear James Holmes is based on the wealth of clues in the greater picture. Such persons are always targeted for a reason. Almost always, that reason is FEAR of what the individual knows about some covert and illegal or immoral government Agency’s doings. James Holmes, like so many of my clients, worked in projects associated with such an Agency; in his case, DARPA, the Defense Advance Research Project Agency. The work, in fact, specifically dealt with matters relating to Political Control Technology, though that is certainly not how they choose to describe it publicly. Learn more about his work, here. What I find particularly interesting is that, in Jame’s case, the location where this work was undertaken was only two main intersections away from the shooting, essentially on the same Street. Just as interesting, is that he lived just ten minutes by foot away from work, only a couple of blocks from the theater, also just off of that same street, again. We will find some significance in that, later. Being a PCT victim or even a threat to the entire PCT program would not in and of itself be a motive to set up an elaborate ploy to have them put away for life. There would be simpler solutions. However, if considered such a threat, it would make them a more logical candidate for Patsy among other candidates for a project which was slated regardless of if it was to be James, or not. Better to kill two birds with one stone than two stones. “Conspiracy theories” happen when there are obvious questions ignored by officials in government and media (Elephants in the room), where presented facts do not jive one with another. This is always the first hallmark of a cover up in a major story. I should make clear to the reader: there is NEVER a cover up UNLESS there is a CONSPIRACY. A cover up REQUIRES it, in fact, or it becomes impossible to arrange — especially when the “the only person of interest” is behind bars and cannot so arrange. Now, because media has not asked ANY of the questions herein, we must assume such a cover up has begun. Failure to question is a tell-tale hallmark which soon enough results in charges of ‘conspiracy theorists’ when challenged. So let’s take a look at some of the questions I find most troubling, and address them. I’m not talking about external matters such as reports that FBI pulled a terror warning regarding theater attacks being a possibility. I’m talking about shooting details, doing so because I’m anxious to be called conspiracy theorist one more time, because I love pointing out that’s just a labeling game to avoid discussing issues. So, after I ask all the questions, I’ll present the ONLY plausible scenario which answers all the questions without contradictions, a replay of the crime as a false flag event involving multiple participants. QUESTION 1: Why did a Judge, within mere hours of the shooting, order all records sealed in this matter as ‘contrary to public interests?’ What facts had been uncovered that early in the investigation which prompted such a concern? It would not be until well into the next day that facts even started to usefully unfold for such an important consideration. I’d like to know who moved for such a ruling, and the reasoning behind their request (stated reasons do not always equate to actual motive). Could it have been a call from Washington D.C., which sparked it? QUESTION 2: Why was there a training exercise based on the same exact scenario underway at the same time, less than ten minutes away? The Denver Post reports such an exercise indeed took place at the Parker Medical Institute. A common theme in ‘terrorist’ events thought to be a false flag operation, is the holding of a training exercise for exactly the same type event at the same general place and time. This was certainly the case for Sept. 11 and the Subway/Bus bombing in London, for instance, and I seem to recall it being so with the Saran gas attacks in Japan. QUESTION 3: Why did media first talk about the “lone shooter” effecting his crime by “kicking in the EXIT door?” Like all patsy shooting events, the initial stories given to and relayed by media without question create the all-important ‘first and lasting impression’ in the minds of the public. It would be impossible for anyone to kick in a fire door designed to open outward. In like manner, with the confusion clearly in place, no one could know with confidence at the outset that there was only one shooter, even if true. No witness could rightly so claim. No Cop would be so foolish as to make such a statement. I would hope no reporter would invent it. But several early news accounts, including one aired on FOX Radio (play the second audio file on the linked page) a single witness identified (in print) only as ‘Pam,’ said exactly that. Why, unless a ‘planted’ statement for Wag-the-Dog* media manipulation? The first known airing was actually from NBC affiliate, Channel 9, on the scene. From their unthinking quote of ‘Pam’, news people everywhere simply repeated the line, just as mindlessly, and as if fact. Isn’t that a great way to get an initial mental image out into the public? Was Aurora shooting a DOD or CIA operation? QUESTION 4: Why did ABC News deliberately take James’ Mother’s quote out of context to indicate ‘they had the right person’ in arresting James? She has officially protested through legal counsel that that statement was in confirmation to HER identity upon first contact by phone. Again, media twists words and thereby assures ‘first and lasting impressions,’ a known Wag-the-Dog tactic. QUESTION 5: Who lobbed gas canisters into the Lobby? At 3:29AM, as part of an interview with Police Chief Dan Oates after capture of James Holmes at the rear of the theater complex, a Channel 9 report reveals a lone gunman entered the lobby and discharged a gas canister and THEN went on the shooting spree. As we will soon see, there are other reasons to believe someone was in the Lobby doing just that. In fact, multiple someones. Did the man in the Lobby have orange hair? No one is telling, no one is asking. Why? We might reasonably assume the above report an error, an assumption. But in a Web radio interview with witness Tim McGrath who was in theater 8 adjacent to the theater 9 where the shooting took place, we learn that while the shooting took place, there were FLASHES seen with the loud pops described as coming from behind, which would be the lobby/hallway area. It would, after all, be impossible to see any visual signs of activity in the adjacent theater where the shooting took place. So there really was additional activity in the lobby area such as flash bang smoke grenades, as confirmed by the other reports. Moreover, the Police dispatch audio tape appears to reference the front door (Lobby entrance) as being ‘blown out,’ at about 3:50 into the audio. These events could in no way be undertaken by James Holmes, as he would need to take the time to exit the lobby after throwing canisters and make his way all the way around the building to the back, change clothes, arm himself, and then enter via the EXIT… in time for them to go off in the Lobby and be seen and heard while he is shooting. It makes no sense. How is this possible without at least one accomplice? QUESTION 6: Who opened the EXIT in theater 9 for James? We now have multiple witnesses who saw someone within the theater open the EXIT door something like 20 minutes before it was used by the shooter. Without stating it in so many words, it is clear Police think it Holmes who opened the door, and then exited the theater through the Lobby to go around to the back where he prepared himself and then used that door. But there is an oddity, here, because the man opening the door is not described by any witness as having blazing orange hair. Why not? It was not seen on the shooter, either, because of his head covering. Why wear the hair if not intending to show it? We will come back to this question. But we also have to ask, by what logic or reasoning would James not simply take the EXIT directly to his car and then return? Why return into the theater/lobby area, at all, unless it be a different person with yet another assignment to be fulfilled who did so? QUESTION 7: How did the shooter gain entrance to REAR EXIT of the building at the time of the shooting? We know how he gained entrance to the theater through the EXIT door but that doorway led only to a short hallway serving theater 10 and 9 together, to yet another secure fire door opening to the lot where James’ car was parked. How did that door get opened for James? No one on the Web has addressed this question before me, and I think I know the answer. James Holmes • Who warned people not to use the EXIT doors advising the shooter was outside, and why? James Holmes • Why did the shooter waste bullets shooting at a blank wall causing bullets to enter theater 10? James Holmes • Who wore the second gas mask and used the second rifle found at the scene? James Holmes • Why did the shooter not shoot the most logical victim? James Holmes • Why did that victim describe the first weapon used was a Rifle, when another says shotgun – who was indeed shot by a shotgun? And so they looked in my bedroom (my office)… and then the closet… my (other) daughter’s bedroom and then the closet… the kitchen/dining area… the living room… and the master bedroom… and then the closet (where they FOUND the water heater)… and then continued looking for it in the other bathroom, the deck, and the deck closet… and then the attic storage area. It was OK, though, because they asked permission before opening any door, just like a law enforcement Officer would do when they had no warrant. which, while they did not use it on the water heater, it being so important to them, and all, they did use it take pictures of other important things, mostly with deft hand-movements that concealed the camera from view. When I said something about the deck rotting after catching one of them using the camera, he even took a picture of the deck! Very important to water heater evaluations, yes? Now would be a good time to mention that the woman looked very much like a known FBI agent from the Portland Office. Only the last time I saw her was when I was targeted by FBI for writing about Flight 800 friendly fire shoot down. I got visits from ONI, as well, and even one MI-6 chap who issued a death threat, and indeed over the next couple of months there were attempts on my life (not by him, but by local LEA, one of whom had been driving a car with license plates blocked out of Langley with DVM). But I might be wrong. Might not be her. Kind of hard to tell because she had PUT ON SO MUCH WEIGHT! Any more and she would have a hard time passing the physical requirements. Kind of weird seeing someone who used to have a waist line now shaped more like a kite, and thinking them FBI. Kind of makes you loose confidence in government’s management capabilities, does it not? Now is also a good time to mention that one of the men was seen wearing an old T-shirt from a known local CIA front… the one with all the technical toys hanging on his tool belt, and a clipboard. Anyone with the old T-shirt (the new ones are different) is usually an EX employee turned private contractor for hire. That front’s specialty is covert surveillance and eavesdropping. So if they left anything here, they had better real quick find a way to come and collect it before I can find it (I CAN VERY LIKELY find it), and end up filing a law suit, or at the very least go public with documentation of it. The kicker? The image is NOT even mine, though I wish it was. It is a random image pulled from the Web for whom no original owner is evident (probably their wish). But FBI would rather do the knee-jerk, fear-based, jump-to-conclusion elaborate covert ops thing than bother to do a little research. Obama does not have enough money to pay for (anything we citizens need) but can spend $20,000 to convince the Landlord to go along with a phony insurance inspection ploy instead of $2 for a Google search? LMAO. End of update – though I’d like you to know there are a series of companion posts which happen to also be my most popular posts (use My Posts menu item and select Top Ten). Is FBI targeting people who have gun collections? I may not speak for all gun owners, but i’m betting my sentiments are not at all isolated nor inconsequential. Look up the word consequence, to fully understand my meaning. I hope the bluntness and inflammatory nature of my remarks are not lost on anyone. I deeply regret any need to write this, and in such tone, in the face of the unimaginable grief and wounds to the heart and soul of those who lost loved ones in Aurora. And though I’m sure they will not appreciate my remarks in the least, I cannot remain silent: I am incensed by the tragedy, doubly so because I see the darkness which surely drove it, and thrice so because it just happened to be within minutes of what is believed by many to be the intended new Capitol of the NewStates of America, also of that same darkness. The shock value is for the Sheeple who need to listen up for a change and actually notice what’s happening around them outside of the sound bites they are fed daily. The NWO cares not for 71, 7,100, or 71,000,000 of us, if our loss will further their cause. We are but mere pawns who are allowed to pay for our own victimization that they may remain the 1% in power. It’s also a warning to the governments of the World, including the United Nations and United States, that gun owners are the last people who give a damn about false flag terrorism as impacting our decisions on gun ownership. So if you want our guns, get yours, and come and try to get ours, if you can. A piece of paper, no matter whos’ signature is on it, or what flowery, tear jerking, politically correct words appear above it, will be of zero meaning to most of us, because we know why you want the guns, which brings us to the last reason for my blunt words. Will we resist you, or won’t we? Your actions dictate the form of debate: the power of words, or of bullets. You have feared the answer for decades, ever since the military Coupe your elders failed to make good on in 1933. The fear of what the answer might be to that question is all that has slowed you down, isn’t it? YOU, by the way, define the answer to that question, yourself. You define it by your actions. You would have no fear and not even need ask the question in that ‘kinder and gentler government’ you promised a few years ago, but woe unto you for the kind of government you are intent upon building, today. You risk much with every step closer to goal you take. What do I know that I should dare confront you so firmly? Because for decades I have researched you, and have written seven books about you. In particular, I’ve studied your preoccupation with Political Control Technology, that evil originally called mind control. There is one aspect of that, the Manchurian Candidate being a suitable (though technically incorrect) descriptor; a programmable killer, or agent, one capable of executing any foul instruction and being unable to later recall the deed, much less the instructions. MPD/DID through RSA torture is the proper term, along with hypnosis and chemical catalysts. Psychological magic mixed with Satanic methods of ancient times. Words that should scare even you: Aritchoke, MK-Ultra, Often, Chikwit, NAOMI, and on and on. Patsies and real killers created by assembly line, rendered sleepers into society for activation on need, and often targeted with other forms of PCT to make them seem conveniently crazy should you need to call them into play. Am I crazy to say these things, or too close to the truth for you to dare even acknowledge I said them? That is modus operandi, is it not? Ignore accusations as it tends to make people think there is nothing to them, and make the accuser go away once they get tired? Sorry, it’s been twenty years and I’m still talking, still accusing, and I am in no way alone. As result of our persistence, more and more Sheeple wake up each day, especially among the programmed sleepers. Fear us, for we are Legion! And guess what? We don’t even fear you enough to be anonymous about it. …that virtually every mass shooting incident has been a programmed shooter since the Texas Tower sniper felled 48 people, killing 16, in over an hour and a half of terror in 1966. And, as if some CIA operation gone wrong, media just magically stopped talking about it and kind of swept it under the carpet. Examine as many of this kind of incident as you wish, and please, by all means, lets include assassination attempts. It is almost impossible to find an exception where the shooter was not under psychiatric care, commonly involving hypnosis and or drugs associated with CIA mind control research. At times, actual ties to CIA MC scientists or similar clues are found. Can you say, ‘Catcher in the Rye?’ How about Dr. William J. Bryan. Ring a bell? Manchurian, indeed! It is almost impossible to find such an event where, if the shooter was captured alive, they were able to recall the incident. Why? Because of complete dissociation and honest lack of memory of the event, a known CIA methodology associated with mind control of the type in question. It is ludicrous to the point of absurdity that any Sheeple remain unaware of the consistent ‘coincidence’ that Congress always seems to have legislation in hand ready to vote upon which ‘protects us’ from just such events as quickly as they happen, and quickly ‘strengthening gun laws.’ Gee, I have not noticed much improvement. It was by this means that you have gotten us to register our weapons, which is something we should never have done, because now you know who and where we are, for that day when you come to collect our bullets. And you know, things still have not improved much with that law, have they? It was by this means that you banned whole categories of weapons which would make any such effort more difficult for you, because you might end up collecting the bullets too quickly for your taste. And still no improvement in sight. Imagine that. It was by this means that you made the good name of the NRA, of which I am not a member, and do not represent or speak for, but whom I respect, to seem to many Sheeple some dark kind of conspiracy, when in fact, it is YOU who conspire, and you who deceives. Still no improvement. Do you really think these laws through when you write them? Ever heard of logic? And, it was by this means that you used even greater terrors to establish whole new agencies to spy upon us and to assault us with little dirty tricks in hopes of guiding us to the Sheeple category, but — SURPRISE! You instead created more of us and made us more adamant than ever. As I said, it is YOU that determines your fate, your actions which dictate the answer to your rightly asked question. So, especially those of you in Congress, please keep that age-old question in mind when it comes time to consider outrageous gun or ammo taxes, and especially the U.N. sponsored international gun grab that gives up some more national sovereignty to the New World Order at the expense of the Constitution. Set the stage for a one World government and leader… who is that, again? The Antichrist? You really think we will allow that, do you? Remember theses questions, and remember this: you can fool some of the people all of the time (the Sheeple), but you can’t fool the rest of us at any time, because Fascists are to us a known entity, and we do not listen to anything they say, except to hold it against them at their tribunal! But what am I saying? I don’t even own a gun. But I assure you that I will, and millions more with me, if you force the matter to a head. Act wisely, for no one can easily stop what you might unleash through unbridled arrogance and lust for power. I do not call for revolution. But I warn of it, and the why of it is quite obvious to me; too many of us, and in all walks of life, are openly using terms like Fascist, Police State, Dictator, Hitlerian, New World Order, and so forth. This should tell you the water is starting to boil. That governmentals fail to understand this mystifies me. Unattended, it will boil over, but so far, the only attention government is giving is to turn up the heat is to madly develop more Political Control Technology and Draconian measures as if believing they can absorb the spillage. So it behooves you, the reader, to consider just what lines in the sand might be important to you, as well as what your role would be in any such revolt. After all, you have three possible positions: stand for freedom; stand under the yoke; and attempt to remain neutral, each considered below. This is the third in a series of blog posts about the likelihood of armed conflict in the United States to regain control of government and restore the Constitution. Other supportive articles have also been written before the need to write had been sensed, and have become more relevant thereby. The first post, What Does it Take to Start a Revolution discussed how scary it is that it takes so very few people to start a revolution, and how low the cost in life tends to be, and the role of government in its own demise. The second, Military Viewpoint: We are SIX People Away from Revolution, revealed that such a revolution may be forced upon us by the Military itself by seizure of government in a de facto military coup, likely involving a massive terror event, be it false flag or otherwise. Note: The war on terror is about control; fear is license for control. That’s why false flag operations are repeatedly found through history to be an all-too-common principal means of empowerment to evil men. Ask Hitler, for instance, the archetype of today’s modern Fascist. Do not be so foolish as to think there are no such men in our military and in government. And, know they are Fascists, and tend to occupy all high places in time. This post, though perhaps the most important of the series, concerns only one small aspect of topic. It reviews the ONLY matter which defines the individual’s role in any success of a revolution, and as important, the ability for them and their family to well survive it. In other words, your very life and the future of your nation rest on this one small thing: how will you know when the day comes, that day the military thinks is inevitable (as do I), and people start to pick up their guns and say, ENOUGH! And, what will you do about it? Fortunately, guns are not the only answer. That moment of decision can be different for each one of us; the defining moment when government crosses a line in the sand we have premeditated or which we may not have foreseen, an event which pushes us to that state of no return. When that happens, the individual starts working in full measure for the downfall of tyranny and restoration of freedom. Some have already reached that point. Hence, the phenomenon called Anonymous. Thankfully, there has yet to be any shooting or other violence of consequence from any quarter, certainly not Anonymous, who carefully points out the folly of it. From government’s viewpoint, you are either for them or against them. Those who are neutral (pacified or fearful to move) will be viewed with great suspicion and dealt with accordingly. The likelihood of being able to remain neutral without joining in the revolt is slim, because being neutral will mean targeting of the sort likely to cross a critical unstated or belated line in the sand (e.g., detainment and questioning most unpleasant, confiscation of property, denial of employment, etc.). There is even less a chance that you would ever be allowed to join government’s side, as you would not be trusted. The longer one waits to decide, the more dangerous their position becomes… neutral could be the worst place to be of all. Unless in an active support role (e.g., a Policeman, vocally supportive public person, etc. ), your only value to government is that you are not an opponent, but it does not mean you are not in the way. On the one hand, you are acceptable collateral damage if unfortunate enough to be standing in-between them and the opposition in a conflict. When they cannot visually discern which you are with ease, they presume you guilty by the association of presence. This is a very dangerous role to undertake, because on the other hand, if you stand with government in opposition to the Constitution and openly support tyranny, those in revolt may deem you a viable target for retribution. This results in a kind or risk of being caught in the cross fire, despite intentions of seeking a presumed safer position. I would not want to be in this category unless so high on the food chain that I was well protected by armed men… presuming I was so faulty in my thinking. But then, high-powered crosshairs tend to easily bypass and render moot such protections, a cold hard fact. This is the more enviable position in any logical review, and is in my opinion why successful revolutions tend to succeed with minimal loss of life. You know where you stand and it is not under the yoke. You know who you trust and you have allies you can count on solidly. But, of course, you have a clear and present danger against which you must steel yourself. If one would read my book set, Fatal Rebirth, there is advice to such persons on how to better defend and more wisely prosecute a successful effort of survival and victory. But do bear in mind it was written as fiction some two decades ago (predicting 9-11 and resulting Middle East oil wars) and was talking about a revolution forced upon the people… a bit like we are starting to face today. 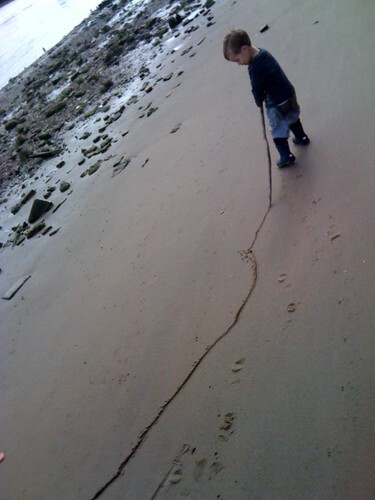 This is what makes knowing about lines in the sand so important. The other reason this stand is more logical, is that in full-out revolution, the forces of the other side tend to switch sides as time passes. Elements and whole units of Police, military, and their supporting or directing resources start to see the light, either because they are being educated by what they hear and see happening, or because they start to see who is going to win. They bring real hardware assets with them for use against those still opposing. I seriously doubt, for instance, that many in the U.S. Air Force will stand by and let the U.S. Army use helicopter gunships and tanks on protestors, as indicated as likely according to Army manuals on dealing with civil unrest here in America. Clearly, that’s a crossed line. For some citizens, such lines have already been crossed, perhaps again and again, and they are already actively working to destroy the corrupt government or prepare for the day when the point of no return comes. This even includes secret organizations operating covertly within the branches of the Military, for instance. Government is rightly paranoid, for they have made themselves enemy to their own. They have forgotten the most basic principle of their charter (the Constitution and Bill of Rights), which is that they are supposed to be a government of the people, by the people, for the people. Instead, they see themselves as a government over the people, and continue to usurp more and more power without regard to the rules of the charter (law of the land). A government which no longer obeys its own law is an outlaw awaiting a day of reckoning, and deserves no mercy. We should perhaps review lines already crossed, because they happen so quickly and generally so quietly that most are unaware of at least some of them. There are, in fact, so many that rather than attempting to list them, I will instead simply cite other posts which are their own lists, as found in the Related Articles at page bottom). For most of us, however, while we may grumble that a given action or law already upon us was criminal or unjust, it did not cross a line we had set, and only served to heighten our awareness (which this blog series also attempts). We sense something is intrinsically wrong and are starting to wonder what we should do about it. We are Sheeple starting to wake up, but yet dazed and confused, by and large. We are frogs who. though quite concerned, are not yet quite ready to jump out of the water as it nears boiling. Only those who do can have a chance to survive the experience, sadly. Those of us less confused have already awakened and defined lines in the sand. I first stirred in 1961, when as a high-school Freshman, Eisenhower warned us about the Military-Industrial-Complex in his Farewell Address, now the Military-Industrial-Intelligence-Media Complex. I was more rudely fully awaken when that very Complex killed John Kennedy, and later, his Brother, Robert, and then Martin Luther King, and thus I started formulating lines in sand. Others will not awake or realize such lines exist until it is too late to usefully do so, and they have been crossed to no good end. What a rude awakening that will prove to be! Martial Law and Suspension of the Constitution: There are variables in any such action which may or may not validate the event as worthy of sparking revolt. Read the prior post and the hesitancy will make a lot of sense. At the very least, however, any such event will force people who see the danger present to take steps to prepare for their defense and assure they retain an ability for offensive capabilities, because you can bet they will go door-t0-door to collect our guns. Three key questions would be: are they relocating National Guard units to neighboring states, calling in the United Nations (real and/or bogus U.N. troops), or segregating units and sending some troops home and others abroad from the same units? Any of these three steps indicates an intent that there will be shooting of Americans who resist, per the prior article’s proof and the earlier cited proof from an Army manual. Note to activists. You are already on a list of people to be watched. If Martial law is declared, there is an extremely high likelihood that all such persons will be rounded up and vanished. So THIS should DEFINITELY be one of your lines in the sand. Have an escape plan, as do I, and establish a network which will give you advance warning, because the roundup will take place BEFORE the actual announcement and commencement. The NDAA assures you of that. Mandatory chipping: any order requiring a National ID Card, perhaps disguised as a driver’s license or health card, or actual implant of a biochip such as Digital Angel by Verachip, a CIA proprietary will set me off. These steps will allow unlimited tracking of individuals and are essentially THE Mark of the Beast or their forerunners, all of them based on RFID technology. When Biblic End-Time prophecy itself is fulfilled by government, the end is near, and the revolution which follows is not to save the nation from tyranny, but the World from the Antichrist and Armageddon. That kind of raises the stakes, does it not? Calling for a CONCON and installing a new Constitution: A ConCon is a Congressional Constitutional rewrite effort whereby Congress can create whatever government they wish. As mentioned in the prior article, The Constitution of the NewStates of America has already written by a CIA think tank, so they need only ‘sign off’ on it and have it ratified. That’s why they have worked so hard to gain control of individual States in elections. If pressed, I could cite several examples where CIA sponsored candidates for Governor and State and Federal Congressional posts, and so forth, have been fielded. Bribery and blackmail work well on yet others. So if they hold a ConCon, you can bet the ratification is not far behind, no matter what you or I might say or do to argue against. Such a document will enable the North American Union, and be a stepping stone to a one-world government, which in turn enables the seating of the Antichrist. Really hot water, again. A Pandemic and forced inoculations, or closing the borders: The topic is far too broad to be covered well, here. But my research into the 50 Dead Microbiologists as detailed in Fatal Rebirth, and a mountain of other material which has since become public, convince me that any such Pandemic is merely a tool to seize power, and it will very quickly escalate to include Martial Law, and all that goes with it. I fear that the inoculations will be a death sentence for the Politically incorrect, and a means for vanishing us. There is also a significant possibility it will allow covert injection of race-specific pathogens to target Muslims, Blacks, or Asians. Such terror bio weapons have been developed. Closure of borders is a sure warning sign that events akin to these concerns is about to come down. I have a contingency in place. Do you? Sedition legislation or executive orders or other takeover or closure of the Internet: If they move to make it illegal for citizens to criticize government, or take away our ability to freely do so without penalty or censorship by decree or technical means, it is war. Period. For me, as an author and activist, that also means any assault on my personal ability to so outreach, such as shutting down or seizing my server or taking actions (e.g., dirty tricks) to destroy me financially. Any personal attacks against me or my family: This I suppose is a kind of catch all. Being arrested and subjected to TSA/HSA/FBI style abuses, for instance, might represent such a line. More likely, however, depending on outcome and steps employed, it will merely make me martyr and sponsor a growth in my following which makes me more dangerous to their tyranny than I am now. So I’m not expecting this to be a problem, though I have contingency plans in place. So should you, if activist. What lines will you draw, how will you respond if crossed? I cannot speak for you. I cannot tell you what to think, or what to do. I can only warn you that if you do not draw a line, have it in mind, and speak openly about it with others, you risk that line being crossed and catching you unawares. As stated earlier, that is not an enviable place to be. But by being open, you and others become aware, including government. They need the warning, you see, that they might understand that they are playing that game of Russian Roulette every time they elect a Draconian act. At some point, we might reasonably hope, they will see the error of their ways by our vocal protests, and recant. That’s what being a Citizen is all about; effect government by your voice — not just at the ballot box, but in polls and blogs and Facebook and Twitter and face-to-face with everyone you can. So you see, none of this dialog, nor anything in my book, is calling for revolution. Instead they seek to avoid it by warning of it. Not warning just you, the reader, but those in government who need to hear it most. Also understand ONLY YOU can make that so, by in turn engaging in such dialog with others. Smokey the Bear might say, ‘Only YOU can prevent Fascism.’ He would be right. So be mindful, be active, and be prepared. If a line is crossed, consider your method of resistance. Some will choose the gun. Others will find other ways to fight, many not involving combat at all. All will be aggressively targeted by government, but few will be easily defeated if they have contingency plans in place and networks of allies. PLEASE, if considering what you will do, especially if aggressive in nature, read Fatal Rebirth, because it contains logical rules of engagement intending to reduce loss of life and assure popular support. It covers both defensive and offensive considerations. Again, keep in mind it was written as fiction and not calling for revolt, but depicting what might happen if government forced it. Still, the great bulk of it is appropriate for tactical consideration in exactly such a case. I hate that it should prove so. There are signs the edifice of tyranny is starting to crack under our constant cries of unjust an unconstitutional behavior. They blinked when the 99% took to the street, but then played Russian Roulette and passed a law making such protests illegal when inconvenient to government. The World-wide protests have made the NWO realize they cannot continue their power hungry course without opposition. This makes them exceptionally dangerous and unpredictable, perhaps forcing them to move their plans forward while their strength is still in tact. 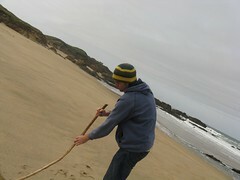 If you don’t know what lines in the sand you will not allow them to cross, you may fall victim if they do. Beware. Be informed. Be alert. Be ready. And I’d like to help. I’ve lifted the copyright restrictions on Fatal Rebirth and reduced the price. I assure you there is a wealth of more solid, useful information there than in all my blogs and tweets combined. If buying the ebook set on CDR, the purchaser can copy and distribute it to others at no charge. There are stipulations. Learn more, in this post on Federal Reserve criminality. Please comment with the lines in the sand you feel important! 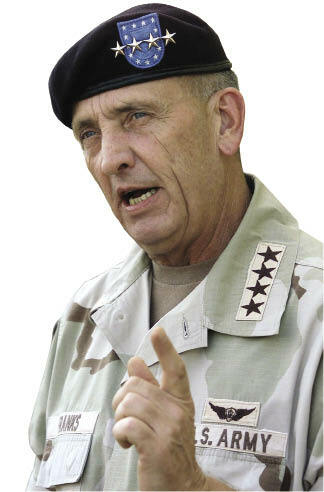 In my book, Fatal Rebirth (proparanoidpress.com), I quote U.S. Army General Tommy Franks on this topic. You remember him? He’s the guy that commanded the flame throwing tank at WACO that first injected lethal gas into their underground bunkers where the children and women were, and then burned most of the rest of the Davidians alive. You know BATF were pretty badly threatened by those darned Bible thumpers, because all the videos showed gunfire in only one direction… in. Not one bullet hitting a vehicle or the ground from which the ‘good guys’ that later bulldozed the place and concealed all possible evidence were shooting from. Here’s my footnote from Fatal Rebirth on what Franks had to say on topic. 4 Newsmax, Nov. 21, 3003: US Army General Tommy Franks, who led the coalition invasion of Iraq to oust Saddam Hussein, is reported to have described in an interview to be printed in the Dec. issue of Cigar Aficionado, that the results of another attack by terrorists with weapons of mass destruction would result in our Constitutional form of government being replaced by a Military government. Don’t cry for us, Argentina! Because the tank in the shop was the only one on the base that was a flame throwing variant. This was all reported by activist/lawyer Linda Thompson, who even acquired the serial number to prove it. She also reported that the few survivors were not taken into BATF custody, but to the same CIA proprietary where the tank was modified for ‘rigorous debriefing.’ That’s how you get the really good confessions! Franks is not our only source. The above cited footnote was in a section talking about the military’s use of the “Shoot Americans questionnaire‘ given to various military units which I reproduced in my book, The Professional Paranoid Defensive Field Guide. Of course, the military called it a ‘Combat Arms Survey,’ and claimed it was not official, used only once with a room full of guys from one unit, and intended only to help some Lieutenant write a thesis. Too bad GIs began popping up out of the woodwork at dozens of other units and multiple branches of the military to counter those claims, or we might actually believe the DOD tells the truth once in a while. Operation Northwoods had nothing to do with Sept. 11, right guys? Right. Do you feel that U.S. combat troops should be used within the United States for (several things to be answered individually followed): Drug enforcement; Security at national events (e.g. Olympic Games, Super Bowl); Substitute teachers in public schools; Federal and State prison guards; National emergency police force; Advisors to SWAT units, FBI, BATF, etc. He is frequently quoted as saying that at the 1991 Bilderberger meeting. If you don’t know who they are, stop reading and close your eyes some more. It will all be over before you know it. In part perhaps, because over the twenty years there have also been a steady stream of reports and photographs of fleets of U.N. vehicles on truck convoys, long trains of flatbed rail cars, and stored in massive lots behind guarded fences protected by Men in Black. The Spotlight newspaper in Washington, D.C., now defunct, was awash with them. The thing about these U.N. vehicles is that they were almost always WWII U.S. issue or Soviet surplus, neither of which are used by United Nations troops. So if and when you seen them deployed, know that whomever is driving them is NOT a U.N. Soldier. Hmmm… Such disguises in times of war (revolution is war) calls for a firing squad. The U.S. government declares a ban on possession, sale, transportation of firearms. After 30 days to turn in weapons to authorities, a number of citizen groups refuse. I would fire on U.S. citizens who refuse or resist confiscation of firearms? The answers to the test (the original bunch of guys — 264 in all) were scary: 1 in four Marines would shoot you. Four out of five will Police you at Super Bowl or hassle you for drugs. And 85 percent of them would happily become a National Police force. Apparently very few had ever heard of the Posse comitatus Act of 1878 forbidding military use against citizens without declaration of Martial Law. All of the above crap, from Franks to the questionnaire, evolves out of something called the Revolution in Military Affairs, or simply RMA; the notion that the mechanics and nature of warfare have changed so much because of advances in technology and societal change that it was time to examine the military belly button. What they came up with was scary as hell, and it is expressed in a whole new catalog of military terms never before used. I list rather a lot of them in the Defensive Field Guide as part of a list of 500 Political Control Technology terms and technologies. Here are just a few of the RMA terms which reveal military’s thinking about their role and yours in our near future. You won’t like it. People’s War.This term first appeared in an article on RMA in Parameters, the Army War College publication. It was quoted in The Spotlight, now defunct. From memory I paraphrase with no liberties taken. None are needed. It stated that People’s War was one of the most likely kind of war on the immediate horizon that would be new and unique. It defined it specifically as combat with Constitutionalists, ex military, survivalists, the poor and disenfranchised, and patriots. Excuse the hell out of me? How does that jive with their oath of office? Why should we allow them to retain force of arms with that kind of fuzzy logic running around loose under their helmets? Here’s another term. 21st Century Politico-Military Force Matrix. That means that there are a range of alternative ‘forces’ which can be applied by politicians against a target group (e.g., civilians) to effect and enforce ‘policy.’ Police, military, intelligence, lethal, non lethal, psyops, disinformation, and on and on, are elements which can be employed: He who uses the best and most appropriate choices wins. Yeah… like Franks won at WACO! But what does this all have to do with six people, and who are they? Simple. The five Joint Chiefs of Staff, and one other person are the six, and they are all that is needed to launch a takeover via martial law in this country. The sixth could be any one of several people. The President of the United States is the most logical sixth, but the Vice President and the Speaker of the House, and a finite list of others could also be the sixth depending on who is incapacitated in that list, be it intentionally arranged for convenience’s sake, or by happenstance. But that is not all. Welcome to the NewStates of America. Oh, didn’t you know? The Constitution of the NewStates of America has already been written. Remember Bill Cooper, former Naval Intelligence Officer turned whistleblower. He uncovered it. You can find it in his book, Behold a Pale Horse, or in my book, Fatal Rebirth, where it is fully analyzed to reveal the Fascist tool it is. Bill said they spent $25M writing the document at an intelligence community (NWO) sponsored think tank. You don’t suppose they would go to all that trouble if they didn’t think they had a way to use it, do you? Now take a look at the final post in this series: The Citizen’s Viewpoint.